Signal quality, speed and flexibility – these are the criteria by which signal generators are measured today. 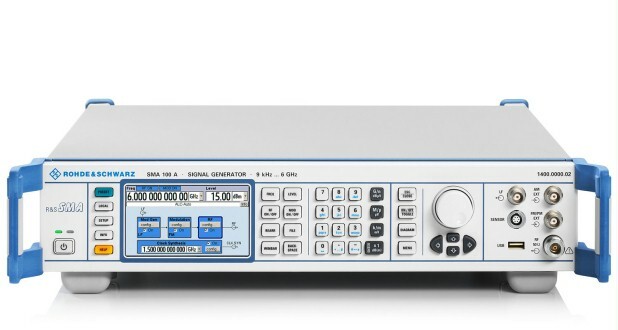 The R&S®SMA100A perfectly meets these criteria, and thus is a premium-class analog generator that sets standards due to its outstanding characteristics. It combines superior signal quality with very high setting speed. Whether in development, production, service or maintenance, the R&S®SMA100A does an excellent job. In the frequency range from 9 kHz to 6 GHz, R&S®SMA100A can generate CW signals as well as all common types of analog modulation (AM, FM, φM, pulse modulation). 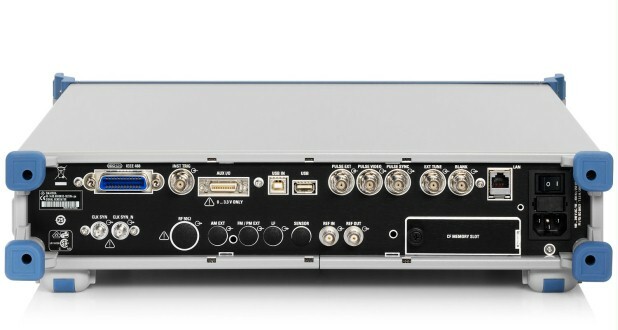 Excellent specifications and a wide range of modulation signals – these are the characteristic features of the R&S®SMA100A. In addition, a low-jitter clock synthesizer option supplies differential clock signals of up to 1.5 GHz independently of the RF frequency. This makes the R&S®SMA100A suitable for a variety of applications – from use in phase noise test systems through to tests on mixed-signal ICs. 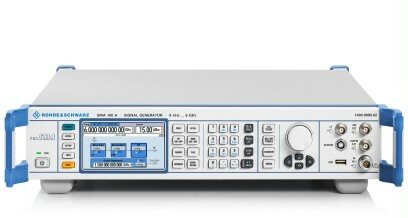 The R&S®SMA100A signal generator also offers a modern graphical user interface for fast and intuitive operation. The R&S®NRP-Zxx power sensors can be connected to the R&S®SMA100A. The user can therefore perform very precise power measurements directly with the signal generator.